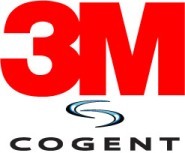 3M Cogent is committed to providing the highest quality biometric identification systems, products and services with unparalleled innovation, accuracy and	speed. We offer our customers state-of-the-art system solutions that allow them to be leaders in their own fields. 3M Cogent is a global biometric identification solutions provider to governments, law enforcement agencies, and commercial enterprises. Office: 22 Farrar Avenue, Adabraka, Accra, Ghana.